I'm departing from my usual "Friday is for stuff about writing" format to say a few words about the long holiday weekend that's upon us. 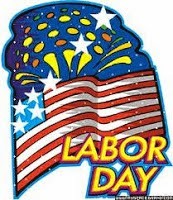 Labor Day means different things to different people. Kids who are tired of school already rejoice at a three-day weekend (and their parents groan). Football fans start thinking about that sport, and baseball fans look forward to the World Series with a variety of emotions, depending on how their particular team is doing. Community swimming pools prepare to close. Stores start putting out their Christmas goods (if they haven't done so already). Today I hope you'll pause and give thanks for the people whose work makes our lives more tolerable. Remember to voice a prayer that those currently out of work will find employment soon. While you're at it, express your gratitude for your freedom, and pray for this country and its leaders. I hope you have a wonderful holiday. IMPORTANT NOTE: The random number selector has chosen Jackie (joyfuljelatgmaildotcom) as the winner of a signed copy of DiAnn Mills' latest novel. I've sent Jackie an email, notifying her. Thanks to everyone who commented, and to DiAnn for offering the book. I really need to stop reading the various social media venues that I normally peruse each day. Oh, I've heard it said that authors have to maintain a presence on the web, and this includes a website, Facebook page (either personal or a fan page), Twitter, Google +, Pinterest...the list seems endless. But sometimes it presents a problem. On some of the loops to which I subscribe, I read about people taking trips I can't afford (either in time or money), doing things I'd love to do but can't (because of time, money, or physical status), and in general sharing wonderful news. Meanwhile, I've just struggled to do a bit of writing, taken the car to have it serviced, picked up a prescription, and some of the other things that occupy my life each day. And I have to admit, it makes me a bit jealous at times. I guess it's natural for people to share good news with their Internet friends, but when that's all we see, it gives a false impression. Then again, maybe I'm the only person who feels this way. What do you think? Do you like to read the good things that are happening to your friends and acquaintances? Do you sometimes get the impression that you're the only one still struggling? I'd love to hear your comments. 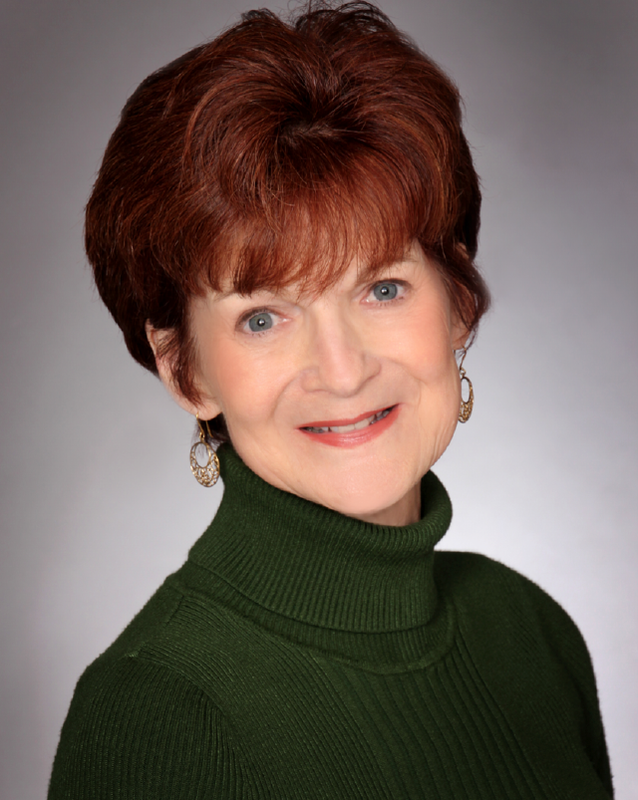 Today I'm pleased to present a guest post by my friend and fellow author, DiAnn Mills. DiAnn currently has more than sixty books published. Her titles have appeared on the CBA and ECPA bestseller lists; won two Christy Awards; and been finalists for the RITA, Daphne Du Maurier, Inspirational Readers’ Choice, and Carol award contests. 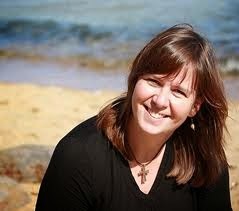 In addition to her other activities, DiAnn is also a craftsman mentor for the Jerry B. Jenkins Christian Writers Guild. Today, she presents a great checklist authors should review before submitting their manuscript. IS MY MANUSCRIPT REALLY, REALLY, REALLY READY? Oh, for a few more days to go over the rough spots. But I’ve edited until my changes are simply changes and not adding to the story. Another reader’s opinion would ease my ragged nerves. Maybe I should have paid for a professional edit. I need to reach deep for courage and hit “send,” but I’m not sure if it’s polished. How can a writer be assured a project is really, really done? From my nonfiction book, The Dance of Character and Plot, I’d like to give you a few tips on how to be confident in your submitted manuscript. Strive to make sentences active. Remember “as” and “ing” words tend to make a sentence passive. Often the word “as” indicates a sentence is not in chronological order. A successful writer creates his/her own metaphors and similes. End passages/scenes with a strong hook. What is it about the hero or heroine that you dislike? Is there a positive and negative trait that is not yours? If you chose to spend a vacation with the hero or heroine, what would appeal to you? Is the character truly evil or badly behaved? What is the one trait that gives the character redeeming quality? Sol Stein states that no villain can attract victims unless he has charm, charisma, position, or wealth. Use a calendar to keep track of story chapters. Keep conflict and tension foremost in your mind. Numbers - written or spelled. Never use two words when one will do. Is there emotional conflict in every paragraph? Every line? Is the project written with a clear genre in mind? Invest in a grammar guide or English book. Do you have passion for the writing project? Have you grown and changed into a better person during the writing process? Are the four crucial plot questions answered in every scene? 1. What is the POV character’s goal? 2. What does the POV character learn that he/she didn’t know before? 3. What backstory is revealed? Is the writing project true to its premise? Make sure the reader knows which noun the pronoun stands for. Keep an works cited list. Always research more than is needed. Each scene should propel the story or subject matter forward, constantly building conflict and tension. Make sure the first and last lines in each scene are strong. Does each scene use all the senses? In a nonfiction book, sensory perception helps communicate the subject matter. Count the symbols with single syllable words first: beans, cabbage, and tomatoes instead of huckleberries, pear, and a banana. Count the number of words. He enjoyed green beans, deep fried onion rings, and buttered corn-on-the cob. If all the items have the same number of syllables, then consider their position in the alphabet. Exception to this is chronological order, obvious sequence, familiar sequence, and unintended modifiers. Sometimes the way we are accustomed to hearing items in a list contradicts the above guidelines. If the items in your list do not sound appropriate, change the order so the list is acceptable. Tea with lunch, dinner, and breakfast is written as tea with breakfast, lunch, and dinner. Cream and peaches become peaches and cream. The bees and the birds (alphabetical sequence) become the birds and the bees. Gold, myrrh, and frankincense are written as gold, frankincense, and myrrh. For fiction: view the setting as antagonistic to add conflict and tension. Does the nonfiction topic have different aspects or features? Does each chapter or scene flow into the next? Do the sentences have rhythm? Make sure all modifiers modify the appropriate word. When we develop our fiction writing skills, we have a manuscript we’re proud to submit! How about you? 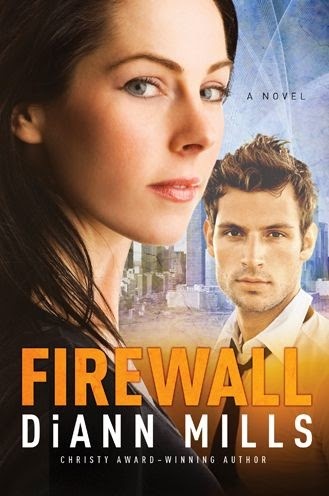 Leave a comment below to be entered into a random drawing for a personalized copy of Firewall. Thanks, DiAnn. 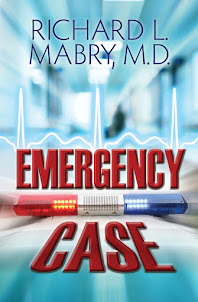 I hope all my blog readers will enter a comment along with their email address (like this: Dr R L Mabry at yahoo dot com) for a chance to win that signed copy of your latest book. I'll announce the winners in a week. You can follow DiAnn on Facebook and Twitter, as well as learning more on her website. Writers, is your manuscript ready to submit? Helpful tips from @DiAnnMills. (Click here to tweet). 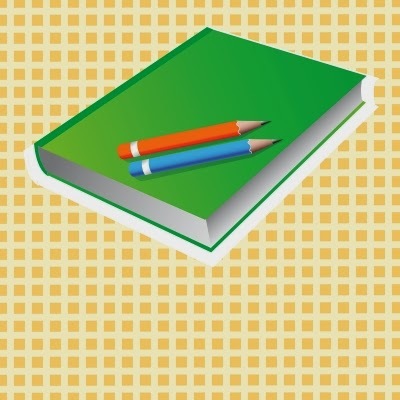 Authors, an invaluable check-list to tell if your manuscript is ready, from @DiAnnMills. (Click here to tweet). 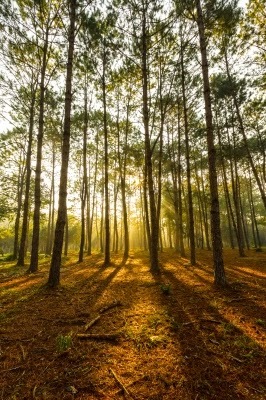 If a tree falls in the forest and there's no one present to hear it, does it really make a sound? I'll leave you to wrestle with that problem in metaphysics. I have a different question for you. If a person reads scenes from a book, does it conjure up images in his/her mind? 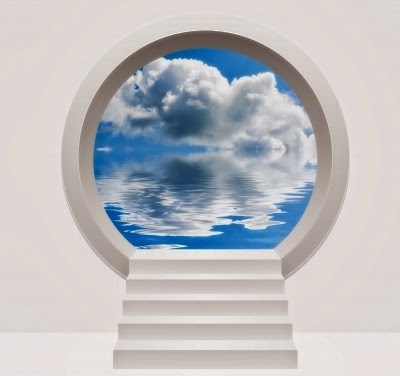 When I was growing up, books were fantastic portals to take us places we could only imagine. I think Treasure Island was one of the first to act as a magic carpet for me, transporting me to a land populated by pirates and plunder. We had no television until I was in my early teens. (Yes, you read it correctly. I'm older than dirt, and my childhood took place when the earth's crust was still cooling). I remember our radio bringing me programs like Let's Pretend and Captain Midnight. I listened, along with my parents (when they weren't busy) to shows like I Love A Mystery and Grand Central Station. The point I'm making is that I supplied my own images, either when reading or listening to radio. Now TV, movies, and even video games supply the visuals for us. So, what do you think? Is that good or bad? Is the current generation bereft of imagination because it's all done for them? I'd love for you to chime in with comments. Tweet about this post: Have TV and video games robbed us of our ability to visualize images from books and radio? (click this link to tweet). I'm posting my thoughts today on the blog of the American Christian Fiction Writers, talking about "Three Magic Phrases For Writers." Early in my road to writing, author and teacher Alton Gansky taught me to ask a magic question: “What if?” One of his books began when he noted the presence of a military installation in a deserted location and asked himself, “What if that base suddenly disappeared?” The result was an excellent book. And it began with one question: What if? To see the rest of this post, click this link. And hurry back next week. Thanks. The route of my daily walk takes me by the green of a nearby golf course. When I see golfers about to hit their second shot, one where they usually aim for the green, I stop to watch. In a purely unscientific survey, I've discovered that the majority of these golfers leave the ball short. They overestimated their capability. Maybe they should have taken one club more. Perhaps they should have chosen a safe route and aimed short of the green, trusting that their next shot would be close to the pin. I don't know why it happened. But it did. This isn't the lead-in for a sermon. It's not a parable, nor even a metaphor. It's just an observation. I'll leave it to you to take it further. Why do you think this happens? Does the story prove a point? Or is it just a random observation? What do you say? Anyone familiar with the publishing industry knows that there is an increasing tendency for writers, even those who have been published previously by traditional publishers, to self-publish via the e-book route. Some have even added print-on-demand as additional arrows to their quivers. And a new class of writer, the "hybrid," has sprung up. Unfortunately, with all this, there has been continuing acrimony between those with both feet firmly in either camp, and even the hybrids are often urged to take sides. Two confessions here, in the interest of full disclosure: First, I'm working under a contract from a traditional publisher. 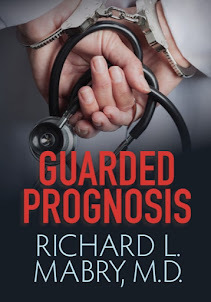 When it has run its course, I will have had ten novels of medical suspense plus a non-fiction book on the loss of a spouse published. Second, I have no objection in principle to self-publication, although frankly it isn't my choice, given my current circumstances. 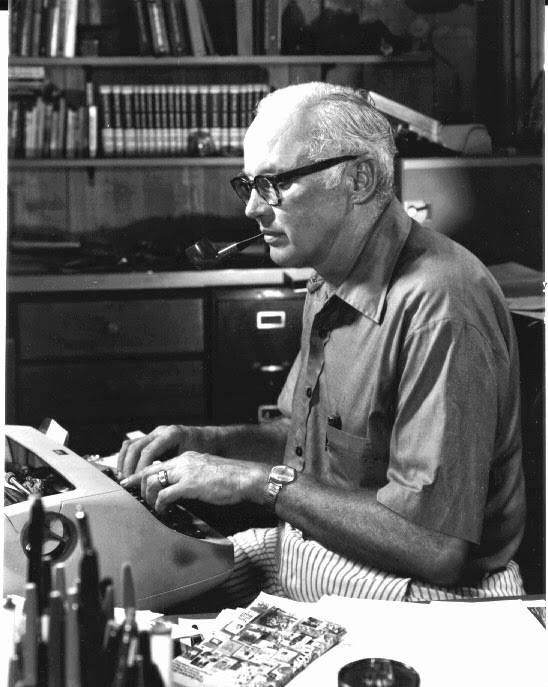 Having said that, let me share with you some words from the extremely talented writer, the late John D. MacDonald. This is from a re-publication of his novel, Slam The Big Door, and the copyright of the introduction from which this is taken is 1960. "There is a general feeling that publication in hardcover is necessary if a book is to have any cachet of importance. It is the class act, mollifying the snob in every writer. I do not really know why this should be so." Change "hardcover" to "published by a traditional publishing house," and this is as fresh as tomorrow's newspaper. I'll let you make your own decision about this difference of opinion that exists. Instead, I'll leave you with another quotation from MacDonald: "I have always believed that the package does not make that much difference. The idea should be to get the work out to where people can buy it. If it is published on Kleenex or forty pound rag bond is not as important as its accessibility." Now, I'm anxious to hear your comments. Children dread it, parents welcome it, but however you look at it, the summer is almost over and school will start soon. I can recall that one of the first questions I had to address each year, whether verbally or in an essay of some length, was this: "How did you spend your summer vacation?" I declared a blogging holiday for the month of July, and it was wonderful. Then August rolled around, and I realized it was time to start back on my blog. It reminds me of the story (perhaps apocryphal) of the firm that decided to award top employees a sabbatical year, a year off after six years of productive work. They had to stop--because too many people didn't come back. I'm back, but today I'll let you all do the work. How did you spend your summer vacation? Leave a brief comment. The winner may (or may not) win a prize. Who knows? I honestly can't recall when I "met" the woman responsible for Relz Reviewz. I've come to know and respect Rel Mollet, who calls Australia her home. I regret having to miss last year's conference of the American Christian Fiction Writers, because I also missed an opportunity to meet this lady in person. However, I'm happy to introduce her to you via this interview. Rel, thanks for being with us today. You’re a wife and mother. You’re an attorney. You’re an active member of a book club. 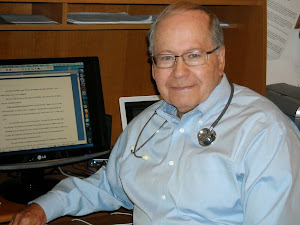 You review books and post character sketches on your site, but also write for several other blogs. How do you keep all those balls in the air? By juggling really, really quickly! Actually, you can ditch one of those “you’re” labels. After a fairly long and painful story, which I won’t bore people with, but it includes soul-searching, wrestling, and much prayer, I’ve left the law behind and am looking to focus on work within the CBA context. I think the trick is when you are truly passionate about something – in my case, supporting Christian storytellers and connecting them with readers – your juggling skills improve immeasurably! That said, I do need to be careful I’m not neglecting one area in favour of another. What problems do you encounter because you blog about books written by people half a world and eight or nine time zones away from you? Not as many as you may think! Face to face content is somewhat problematic but Skype is a wonderful thing J The internet and email has shrunk those borders and hurdles a lot. I’m in touch with authors, publicists, and publishers everyday even if it means getting out of bed a little earlier or staying up a bit late to catch people during their office hours. How do you get your books? I receive books from publicists and publishers for the most part who are looking for a review or other kind of promotion of their authors’ books, sometimes from the author directly (which to this day remains a thrill for me! ), and yes, I even purchase some myself. Your reviews are straightforward, and you emphasize that reviewing a book doesn’t guarantee you’ll endorse it. Have you had some less-than-positive feedback when you reviewed a book for which you didn’t care? Honestly, not really. I will usually let the publisher or author know that I’m posting a less than stellar review, as a courtesy. My experience has been that as long as a review isn’t personally scathing, most authors are accepting of a review that contains feedback of a negative nature. I’ve recently posted a review for a very popular author which, while overall was positive, did contain a particular concern I had with one part of the story. That writer still posted the review on their social media. That’s a writer comfortable with their craft and who realise not everything is for everyone. I admire that and it makes me want to read their stories even more. What do you do with review copies after you’ve finished reading them? Keep them! What else do you do? Surely, you’re not suggesting I discard a book?!? Seriously, I find it extremely difficult to part with any of my books but around 12 years ago, long before I was reviewing, I began lending my books out to my family, friends, church members, friends of friends, and more ;-) Christian Fiction is pretty much inaccessible at public libraries in Australia, aside from the odd Kingsbury or Dekker novel, so it is a privilege for me to share the books I love so much with others. Reviewing books has been a Godsend in so many ways as it keeps me in books with which I can share the love! With nearly 3000 CF books, you can imagine what my house looks like, so the more I can lend the better for my family – LOL! Have you ever considered joining the ranks of writers, instead of being a reviewer? Nope! Having had the privilege to see firsthand the agony and ecstasy of the writing life, having walked along the publishing road with a number of dear author friends, I’m happier being the recipient of all that blood, sweat, and tears rather than have the personal experience of it! Any final comments for my blog readers? Never underestimate the power of a story, nor the effort, energy, and heartache a writer experiences creating that story. May a great book be just around the corner for you all! Thank you, Rel. Readers, if you have any questions for this talented lady, please leave a comment.